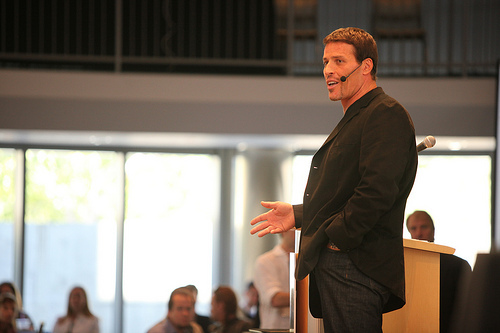 The Tony Robbins “free coaching strategy session,” according to FindYourCoach.com, will require you to meet with a commissioned salesperson, also referred to as a “coaching consultant,” according to the website and people who have signed up for a session, a lot of people report as being a high-pressure sales tactic, often applying a lot of pressure to get you to sign the contract. While the prices and even the information for the coaching being limited online, we did find some third-party sources that shared some valuable information. Do note, however, that this information is based on third-party information and is not connected to Tony Robbins in any way. As our organization relies on your public feedback, which we encourage you to leave comments on what you paid below, we cannot deem the following information 100 percent accurate. How much does Tony Robbins coaching cost? As mentioned, the costs of a Tony Robbins coaching session is not publically available via the official website as the “consultants” will determine the fees and terms based on criteria which could not be confirmed. Often sold in packages, ranging from as little as six months to more than a year, we have found people paying anywhere from as little as $1,500 to more than $6,000 for a coaching package, all based on the payment terms, the contract length, the salespeople you dealt with and other multiple factors. Those who are interested in joining must pay this payment in full as per the contract. Even when your contract ends, monthly charges will continue until you cancel the contract in writing. If you do cancel early, cancelation fees will apply, which, according to one source, was $495~. If you didn’t want to sign a one-year or a longer-term deal, which often leads to discounts, then the average monthly costs were reported to be in the $500 to $900 per month range, all based on the package you choose. FindYourCoach.com, while glancing at the contract, did notice that once your contract completes and you did not sign up for an additional contract term, then an automatic payment of $595 will be charged until you notify the company in writing that you no longer wish to take advantage of the coaching sessions. According to this reviewer on Yelp.com, she stated she could only afford the $1,600 for the lower tiered coaching package, while another reviewer on this same review said she paid $5,500 for the full year. All of this information was obtained via third-party websites, review-based websites and forum threads where people shared information on their experience and what they paid. All new clients can take advantage of a free 30-day session on the official Tony Robbins website, a session which allows you to talk with a coach who will help you identify three to five barriers and limiting beliefs. Then, with this information, your coach will be able to set goals and define a vision for your future success. If you like what you hear in the session and want to begin, then the next steps require signing a contract, and from there, you will receiving a dedicated coach who you meet once a week via phone to help keep you accountable, narrow your vision and prioritize your actions. All coaches, as per Tony Robbins, are hand selected by Tony Robbins and are ready for any challenge that may come their way. Every coach has to complete more than 250 hours of training every year to maintain their mastery of the methods and strategies Robbins uses himself. Apparently, the Tony Robbins coaching team will assign one coach but one common complaint was that coaches often leave the company during the duration of your contract, making it hard to connect with one dedicated coach for a full year. With this contract, keep in mind that you’re not purchasing the services of an individual coach, but rather, multiple coaches. Again, with limited information available online, the coaches Tony Robbins hires are said to meet the standards and qualifications set by his team. Former coaches online, while it is not 100 percent confirmed noted they were rated as to how well they could keep clients and how they could sell products and/or services, even after a contract was signed. All clients, as mentioned, must pay the contract in full to start sessions, while monthly payments, afterward, will be charged until canceled in writing. According to the official Tony Robbins website, these life coaching sessions are ideal for those who want unbiased, unsound advice for those who are facing major decisions about life chances. This result coach will be able to help clarify your goals and create a chart to a more proactive path, all while assessing risks and asserting yourself intelligently. Tony Robbins notes the coaching sessions are great for those who want to create an actionable plan to create a vision you have to become a reality. While all clients are unique, Tony Robbins recommend new clients to commit for one year of sessions as the first quarter can help identify the limiting beliefs, while the next few months after can help develop patterns to overcome these beliefs. Thereafter, your coach will help make these patterns become second nature to your life as you practice these habits daily.